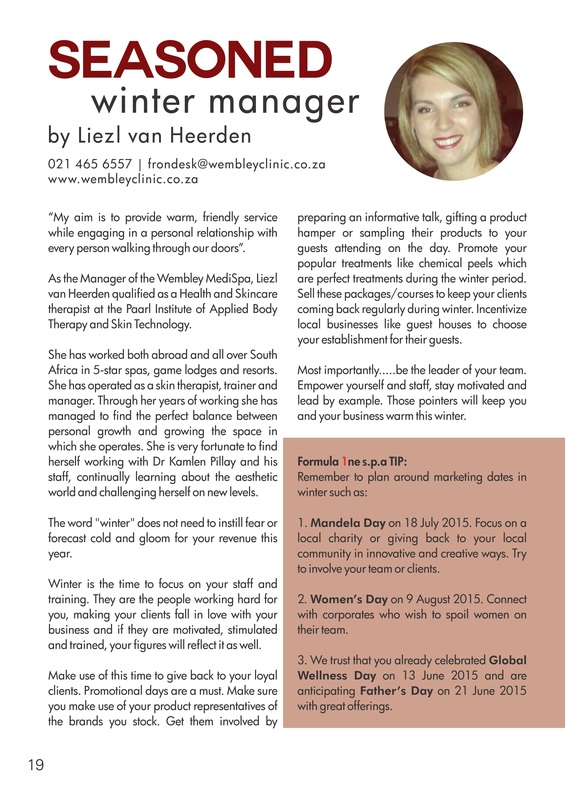 Liezl van Heerden, the Wembley MediSpa manager, features in 1ne s.p.a Magazine- Winter 2015. Liezl will be giving some tips on how to increase business during the quiet winter months. If your business are slowing down during Winter months, make sure to read the below article.